November means new doll time! We’ve gotten a wave of new releases in and I’ve been flooded with new dolls on my shelves! We’ve got MH Isi Dawndancer, Batsy Claro, Kjersti Trollson; EAH TriCastleon, Justine Dancer, Melody Piper, Farrah Goodfairy, Dragon Games Raven, Darling, Holly, and Apple/Braeburn, Book Party Ginger; and Star Darlings Scarlet. I’m sure there are dolls I have that aren’t even on that list. I don’t even know where to begin! Let me know in the comments who you would like to see and we’ll get on those first! 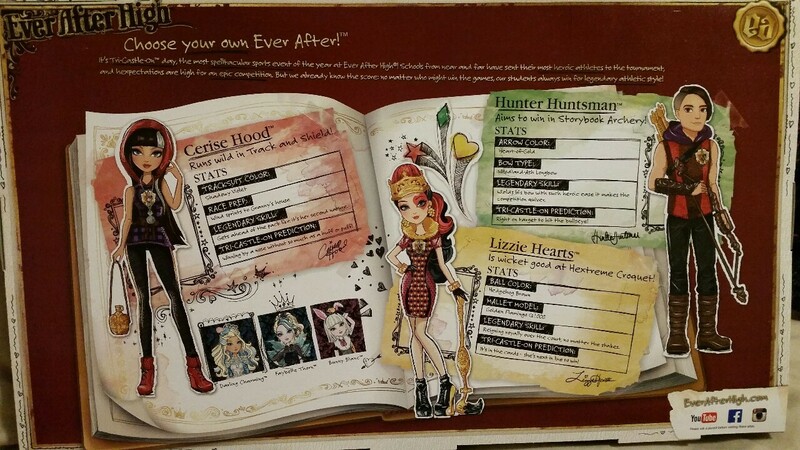 Additionally, if you are interested in the Star Darlings dolls, check out my friend’s flickr account for all five dolls. Have you seen this awesome 3-Pack? I grabbed this set the minute I saw it online, and it was delivered today. I want to get pictures posted tonight, but it probably isn’t going to happen. I’m going out of town tomorrow until Saturday. 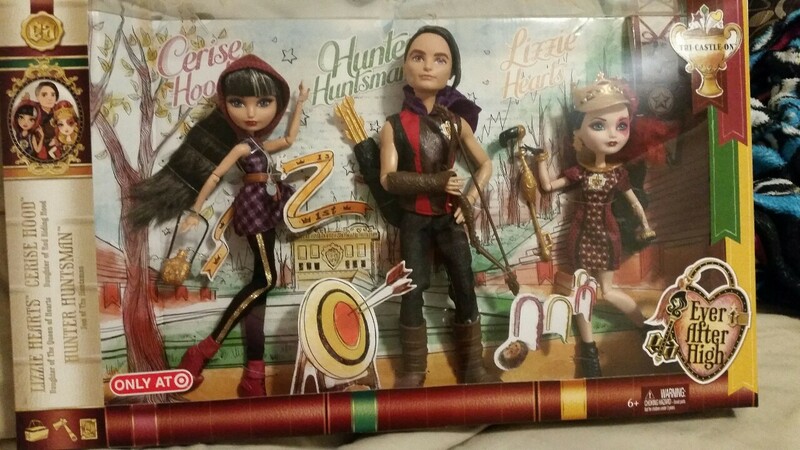 The 3-Pack DOES come with stands, a black base for Hunter, silver for Cerise, and gold for Lizzie. They also come with one bookmark that basically gives the three characters’ perspective on the Tri-Castle-On, which basically just sounds like field day or something. Lizzie’s still homesick, Cerise is still hiding her identify, and Hunter is still proud to be a Huntsman. It doesn’t do much for world-building or character additions, but it’s cute. I’ll post it when I post the photos. Do you plan on getting the 3-Pack?